Leadership 2.0 is an approach, an attitude, a discipline. Like Web 2.0 where users are “cosumanagers” consumer and managers of a brand, similarly Leadership 2.0 is all about, managing the self, execution of inner engineering before managing the macro environment that is external to the self. 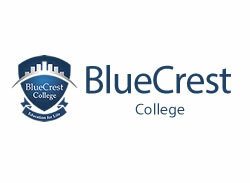 A workshop on Leadership 2.0 was disseminated to participants from a wide gamut of industry -students, professionals, bankers, welfare officers., on 15Th September 2018, at BlueCrest College. The workshop with a focus on rudiments of Leadership 2.0 emphasized the importance of leadership at every segment of life-professional, personal, community, religious & spiritual. A need to be a one-man army, standing and saying we can do it when everyone else is cowed. Understanding that Leadership encompasses the concept of being the CEO of our own roles and leaders within our current positions. And that is what constituted the essential foundation of the workshop, attended by participants from Nigeria, Togo& Ghana. The workshop instituted with asking students to write down that day’s schedule, the last day of their life on earth. This exercise got their creative minds in motion engendering the thought of what constituted the most important thing in their life and that life is simply uncertain. A list of Regrets, lead to delving of the means by which the regrets could be bowled over, imbibing small changes in habits. The concept of mind, awareness, was thus explained in detail that enabled participants to discern that they can control their mind by shifting their awareness from one pocket of mind to the other. The pockets comprising of happiness, sadness, grievance, grudges, anger, resentment, grief. It was also broadly emphasized that holding on to grievance, anger, resentment can breed terminal illness in the system and that leaders cannot afford to fall ill in order to be at the top of the game. The necessity to exercise not only to look good but feel good. Research on how exercise can lead to neurogenesis, neuroplasticity, and enhance cognitive control, that is at the center of one’s self-awareness, the highest level of consciousness, and willpower. An intimate picture of how future will look like…..will calibrate the subconscious mind and thus participants were advised to keep a strict vigil on their subconscious mind through monitoring their habits of keeping up to TIME & COMMITMENTS (no matter how small or big) Thus they were asked to create a vision of their life and a picture of how their life will look like henceforth 10 years down the line. These activities calibrated their minds on the kind of life they envisioned. Making participants believe that their past circumstances will not determine either their present or future, was a summon to contest. Lives of Tom Cruise, Elon Musk, Richard Branson and Henry Ford, each one of whom were dyslexic child was discussed at length. Oprah Winfrey, her journey from being abused at the age 9, and then 10, and then 11, and then 12, 13, 14 to being a Media Mogul, featuring in the Forbes powerful women, shocked the participants to the core, as it was an eye-opener. Leadership lessons from the life of Mother Teresa and Nelson Mandela made the participants believe that suffering, challenges & obstacles are God’s way of nurturing the warrior in humans for reigning they're yet to come magnanimous life. Some breathing exercises and a guided meditation were taught to participants as a means to calm down their system instantly at the time when they are perplexed, confused and unable to take a decision. Strategies to recover from a fall and rules of a monumental life taught was a turnaround strategy that could empower them with the ability to pirouette fortuitous in an awe-inspiring life. The 8 hr. workshop ended with distribution of certificates and workshop kits, forming a WhatsApp group that will enable the participants and facilitator be in touch and follow up on the workshop learnings as and when necessary.